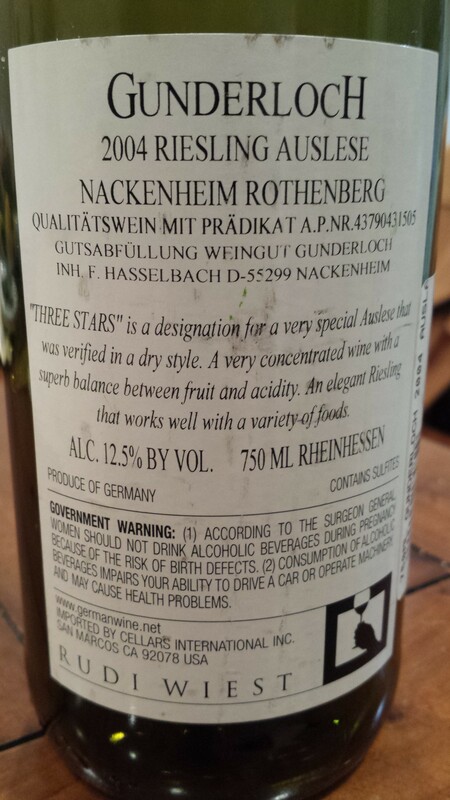 A three star Auslese with no botrytis, fermented off-dry. Canary yellow. Ripe and smoky, he highlights red-soil fragrance with a feral streak over fennelly fruit. The class of the vineyard is transparent here: he allies broad-shouldered substance and sauvage intimations to first-rate detail. The finish is both latticed and penetrating. Will still improve. Now – 2025.